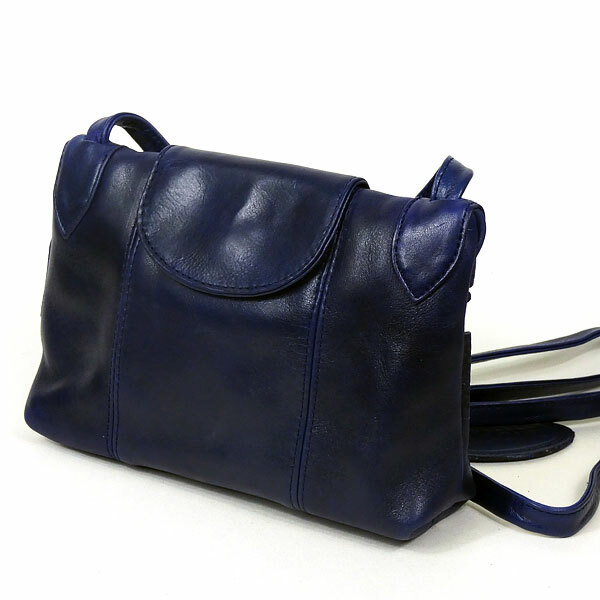 This is a beautifully made, small blue leather shoulder bag, designed and manufactured by Saccoo in the Netherlands. The bag is unusual in that the main compartment is accessed from a zip opening at the back of the bag. 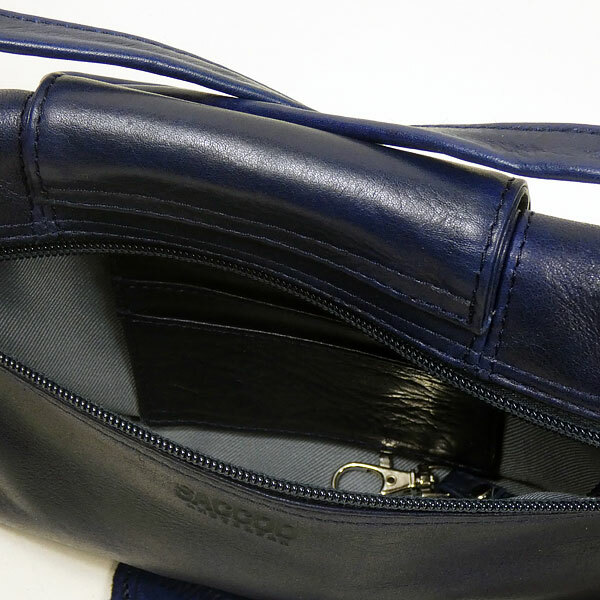 The small flap, with its magnetic clip to the front of the bag, covers a lined pocket which is the depth of the bottom of the bag, suitable for a smartphone. It has a long shoulder strap. 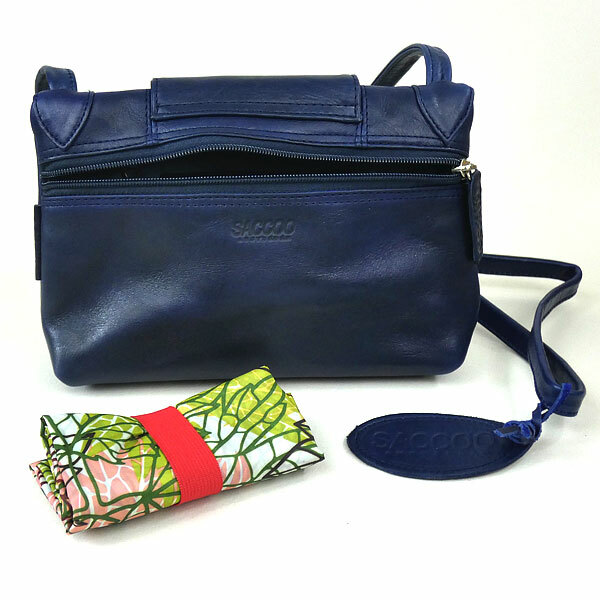 The main compartment has a zipped upper pocket and 4 small pockets, edged with blue leather, together with a blue leather cord with a clip for keys. Both the front pocket and the main compartment are lined with a pale blue cotton, poly lining. The 3 zippers are made from a long lasting nylon. Sixe: 22cms x 14cms x 5cms. This shoulder bag is one of the Dutch Saccoo Collection. The bags are produced only from full cow leather which is vegetable tanned. During the tanning process special barks and juices of trees are given to the leather skins and then, to intensify the colours, they are treated in a sunbath. To finish different polishes and oils guarantee a variety of colours and hand feel. The natural dyes used are an eco-friendly alternative to synthetic dyes.